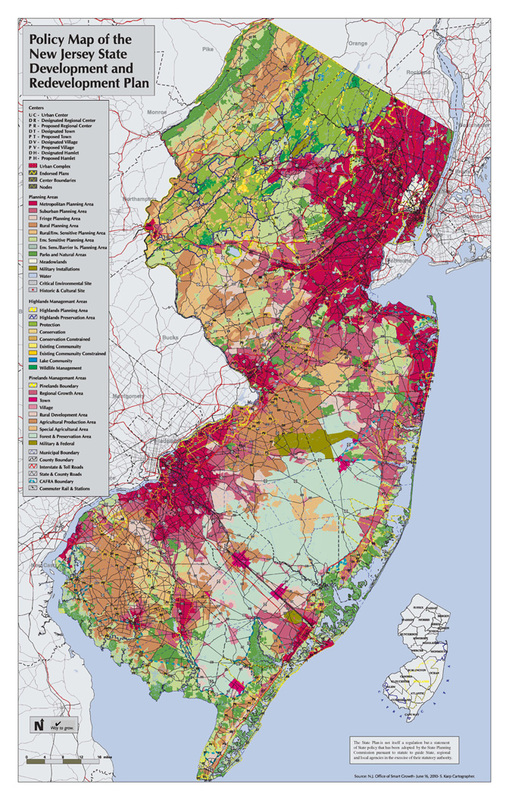 On Friday, the Christie administration released a proposal for a critical missing piece of its proposed State Strategic Plan, the system for determining where both growth and preservation should occur. The new Priority Investment Area Criteria would replace today’s State Development and Redevelopment Plan map with a system for indentifying “priority growth” and “priority preservation” areas. Remaining land in the state would be characterized as “alternate growth” or “limited growth,” depending on the availability of infrastructure. 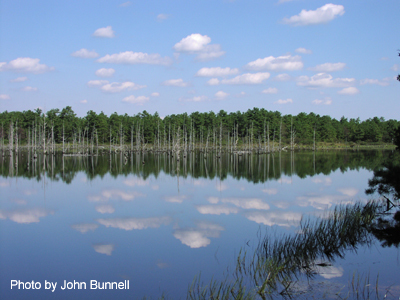 Regional planning organizations and counties could recommend additions to priority growth and priority preservation areas, provided these areas meet additional requirements. The system is meant to influence “state agency decisions on investments, incentives, and appropriate flexibility on state land use regulations, programs and operations.” Local government would retain authority over planning and zoning decisions, but the system is intended to increase coordination among all levels of government. Much is at stake. Today’s State Development and Redevelopment Plan map divides the state into five planning areas and centers, designations that state government uses to direct key incentives and regulations. For example, developers with land outside of State Plan smart growth areas have no access to some economic development incentives, including the lucrative Economic Redevelopment Growth Grant (ERGG) program and the Board of Public Utilities’ energy efficiency programs. State Plan map designations determine the development intensity for every parcel in the coastal zone; statewide they prescribe where development permits can be extended beyond their normal lifetime. Many local governments use the State Plan map to guide master plan and zoning designations, and to defend those plans in court. The map also provides a blueprint for more efficient infrastructure investments. It should not be discarded until we understand how, and how well, its replacement will function. Will the criteria advance the goals of the State Strategic Plan? Will the criteria strategically identify the most promising opportunities to create high-quality places that will attract and retain people, employment and investment? The system should not allow state incentive funds to be diluted across even broader areas than under today’s system of “smart growth areas” as mapped by the State Development and Redevelopment Plan. Unfortunately, the state has not yet tested the system to provide the answer to this question. Will the criteria strategically identify the most important areas for preservation? It’s impossible to say at this point, since the criteria are so extremely vague and no mechanism is suggested for sorting out the inevitable conflicts between preservation and growth areas. Moreover, it seems as if local governments can override state-level recognition of priority preservation areas, which would render these designations hostage to sometimes parochial municipal preferences. Will the criteria meet the requirements of the State Planning Act? Will they “discourage development where it may impair or destroy natural resources or environmental qualities?” The system would allow land to be designated as a priority for growth without an evaluation of environmental conditions. Additionally, it’s not clear whether the system would promote growth outside of areas that have, or are planned for, infrastructure. 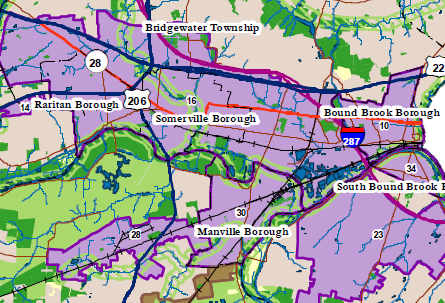 The language regarding wastewater infrastructure doesn’t distinguish between the Sewer Service Areas being updated this summer and the existing ones described by DEP Commissioner Martin as, “in many cases obsolete,” that include 250,000 environmentally sensitive acres in need of protection. Will the system work as intended? The 2001 State Development and Redevelopment Plan map provided clarity about the plan’s geography, but for a variety of reasons proved extremely difficult to update. It’s not clear whether the proposed criteria system will produce growth and preservation areas that make sense, and it’s not clear whether the delineation process will be transparent, predictable and efficient. The release of the criteria was timed to coincide with the public comment period for the State Strategic Plan, which commences tonight with the first of six public hearings, followed by a 30-day window for written comments. 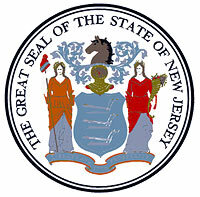 They are presented as an “Advance Notice Rules,” paving the way for publication in the New Jersey Register. In general, the proposed framework of priority areas for growth and for preservation makes sense. It mirrors the way the current State Plan’s “smart growth areas” have been used to direct state investment and protect resources. But much work remains. The criteria must be tightened up and clarified to address basic policy questions. Then the system should be tested in a handful of diverse locations (rural, suburban urban). What kinds of growth areas and preservation areas, in what locations, will it produce? 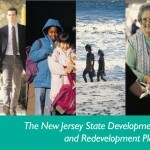 If the Christie administration and its decision-making agency, the State Planning Commission, intend to provide a workable, strategic framework for growth and preservation that is consistent with the mandates in the State Planning Act, it must give its staff ample time and resources to develop the system fully, and it must provide the public meaningful opportunity for review and comment, rather than simply rushing to meet an arbitrary deadline.